We work with a variety of clients – some are new to the custom home design process and some of our clients are experienced builders. For all clients, we feel its critical to understand what to expect when working with Bainbridge Design Group. We’ve narrowed it down to a simple six-step process. Every project begins with a conversation. Meet with Dennis and Justin to discuss your needs, the styles you like and admire, your budget, and your day-to-day lifestyle. This information is the foundation for your future custom home design. Not every home design requires a site visit, but in many situations, our team visits the site to understand the surroundings and characteristics of the lot or land. This influences the design, assists in capturing the greatest views, and helps in achieving the best possible curb appeal when the home is complete. 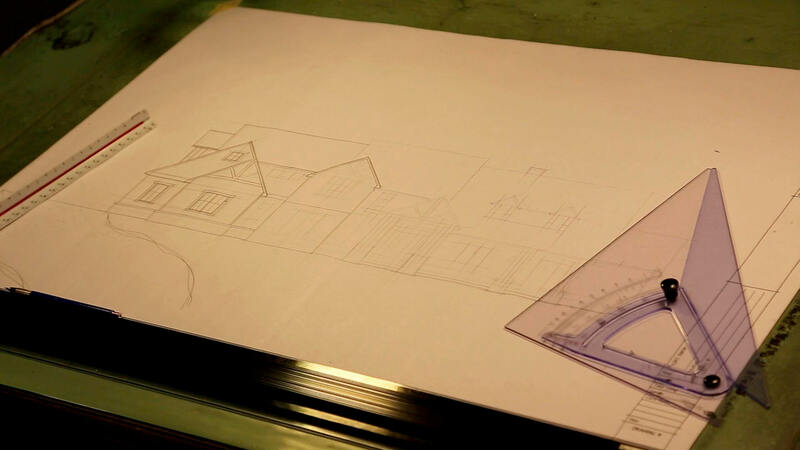 We create a hand-drawn preliminary design, including floor plans and front elevations, and then meet with you to discuss and review. This is when your project really starts to take shape! We invite your feedback and integrate your thoughts into design revisions. Most of the time our preliminary designs meet and exceed our clients’ expectations. If there are additional factors that influence the design or changes that need to be made, we use this time to fine tune the design before proceeding to full construction documents. At this stage you receive completed construction documents – everything you need to build the house. Customers give these finished plans to builders to get accurate estimates regarding cost and construction time frames. If cost estimates, or the builder’s input, require any modifications we’ll make those at this stage and publish new construction documents. After that, it’s time to build your dream home! Ready to start designing your dream home, click to contact us.